The best way to buy thai art : Leader and first art store dedicated to Thailand culture, promoting more than 200 thai artists and creative people around the world. 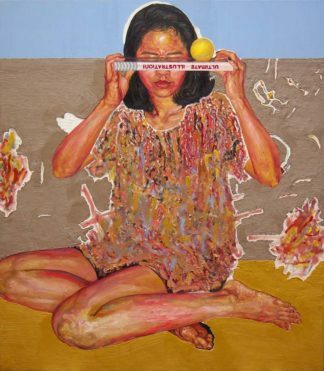 Thai Art for sale - Original artworks by emerging and famous asian artists. Worldwide Art shipping and insurances included. 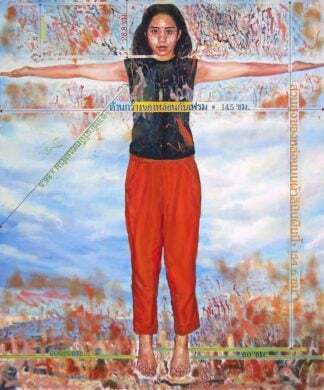 Buy art online - Contemporary art by Thai artists. Acrylic and oil paintings for sale. 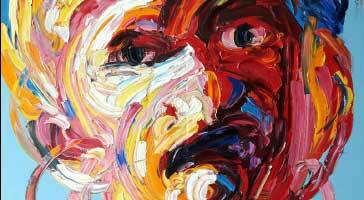 Visit our Art Gallery online - Paintings for sale, sculptures for sale, pop art, abstract art, modern art, oil painting, landscape painting, acrylic paintings, painting of flowers, portrait painting, etc. We daily collaborate with hundred of artists, art teachers, architect, art decorators and art galleries in Thailand. We promote Art exhibitions, artists, art galleries, Thailand culture. We represent hundred hundred of Thai artists and already sold hundred of artworks - shipped around the world. Our mission? Promote Thai culture and Asian artists around the world. Onarto was officially established in 2012 with the aim of connecting the hundreds of Thai and foreign artists living in Thailand with the rest of the world. It is a global platform for emerging and established artists. Our blog’s main goal is to inform Thai nationals, expats and international visitors about the world of Asian art for sale. Onarto is also one of the number one English websites to provide weekly updated information regarding the number of ongoing and upcoming art happenings in Bangkok. We also benefit both artists and collectors as we offer visibility to new artists while validating promising emerging artists. Our ultimate goal is to give first-time buyers and seasoned collectors the confidence they need to purchase and support emerging Asian talent. 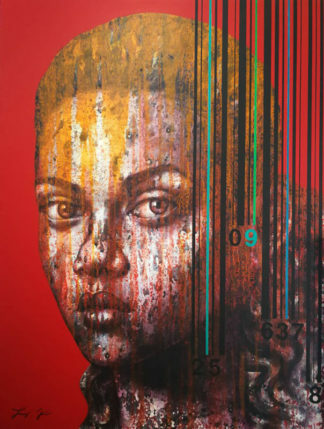 The artists featured on our site have all received recognition in the local and overseas art scene for either their style, technique or unique viewpoint. Onarto started out as a dual-language French and English blog focused on showcasing art galleries and art exhibitionsin Bangkok. However, it is now functioning solely in English and is a composite born from numerous sources informing the local public of art events. Thailand is in the midst of a relatively recent boom in art events and the desire to breed and inspire creativity. From a handful of events a year to dozens per month, gallery visits and art happenings are now one of the hottest after work and weekend activities to do in Bangkok. 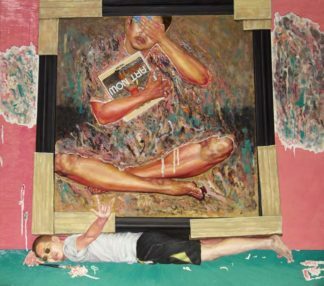 Though the market for purchasing artwork from emerging young Thai artists still has a ways to go, we believe the increased interest in artistic happenings can only mean that an explosion in the local art scene is down the road. We strive to promote interest in the local art scene among both Bangkok dwellers and overseas observers, and we continue to be excited for the future of Thailand’s art market. 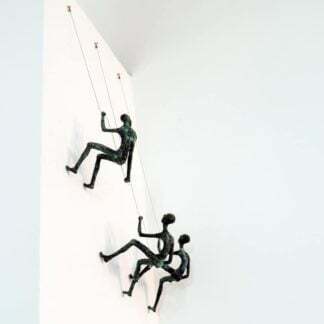 Through the continuation of the Onarto art news and our growing list of art friends and acquaintances, we’ve made connections with a number of gallerists and collectors from Asia and across the globe. From these connections, we’ve been able to put art enthusiasts in touch with their favorite Thai artists in order to purchase and commission the pieces they need. Inspired by the number of requests we received, we decided to make the process automatic with our Onarto e-commerce website. Today, Onarto is a leader in the market of purchasing Thai art online. Our global platform is visited by art lovers from hundreds of countries each month. We are proud of our ability to connect consumers with artists that they would have never had the opportunity to discover otherwise. We have a constantly growing selection of paintings, prints, drawings and sculpture by nearly 100 local artists. Our team of art lovers is constantly on the search for the newest and hottest artists from across the country, but especially within Bangkok. If you have a recommendation for an artist you’d like to see on our site, we invite you to get in touch with us. Our simple and easy-to-use website is truly a wonderful platform for artists to showcase and sell their work alongside more established artists in Thailand. Ultimately, we believe Onarto can one day be the leader of buying Asian art online. Onarto offers search filters that make it easy to find the works you’d like to see out of our stock of several hundred pieces of Asian Art and Thai Artworks. Use the filter function to help narrow down your search. You can either try a quick keyword search by typing in the name of an artwork or artist or by clicking on the category/sub-category drop down menus. In this section you can search for works by medium, category, style, tag, genre, artist or shape. You can also decide to sort the listed artworks by newness and price. 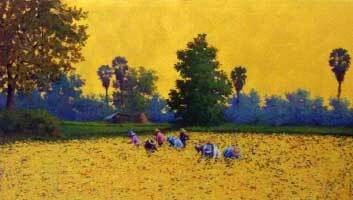 If some famous artists do not present all their work, we do propose more artworks on request by famous thai artists like : Attasit Pokpong, or Vasan Sitthiket. 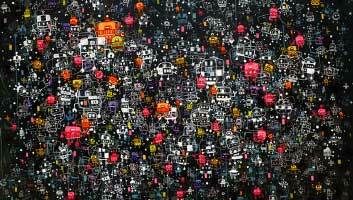 Onarto began as the project of a French art collector who spent the majority of his free time delving into the workshops, galleries and communities of Thai artists. From this love for the Thai art community and Thai culture, Onarto became the main project of SUPERSOGO CO LTD. Nowadays, Onarto has an international team behind it that provides online art consultancy and top-quality customer service. We work with hundreds of artists, but not all of them display their works on our e-commerce site. We only display artists that are able to answer our requirements, such as custom art and art commissions, which are an invaluable part of our services. Some of our featured Artists can reproduce paintings from an existing series that are either sold out or unlisted. We also provide custom services and affiliated services for art galleries. Contact us to find out more. 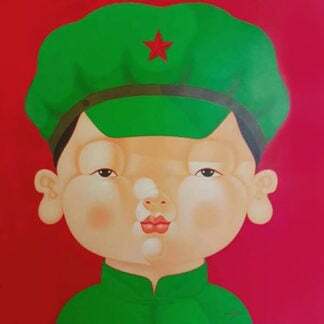 All of the artworks you’ll find on Onarto are original pieces by artists living in Asia. We invite any artist to join us and are open to all styles and forms of art. Nevertheless, in order to respect Thai law and preserve Thai culture, we refrain from selling religious or Buddhist replica art. We reply to every enquiry within 24 hours and are happy to advise anyone interested in buying Thai art online. You can receive personalized assistance from the Onarto team in choosing original artworks that match your style and budget. This service is provided for free of charge. Our delivery time starts from the moment an order is accepted and includes a 24-hour period where your items will be processed, packaged and dispatched by our warehouse. We also work closely with our shipping partners to minimize the potential impact of custom delays for our international customers. The total price includes, insurances, we offer bank fees and the worldwide shipping for every direct order. Once you submit your order, you will receive an email confirmation with your order details. A tracking number will be provided to you immediately after shipping. We are able to provide you with the lowest markups for Asian art due to our low commission policy. Our pricing is exclusively based on studio prices thanks to our connections with about 200 artists in Thailand and over Asia. We firmly believe in providing the fairest deals to both the artists and buyers. 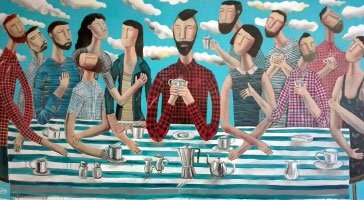 With every purchase you make, the artist will receive a 70% of total – compared with the usual 50% commission from other gallery. Any artwork you buy can be shipped around the world, with insurance covering 100% of the shipping costs and artwork value. This is a included service, provided at no extra fee or cost. 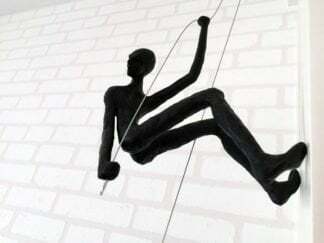 We personally package every shipped item (paintings, sculptures etc.) with care, using only TNT shipment services. All artworks will be wrapped with bubble wrap, biodegradable packing peanuts and air packets for the most secure fit. Onarto is a full SSL encrypted Website, which means all your credit card transactions, data transfer and logins are completely secure. With us, your purchasing data will remain totally private, safe and integral. Art importation documents will be provided for a quick and effective custom clearance process. We also supervise the shipping and clearance process until the artwork arrives at your doorstep.